WELCOME TO JOSEPH H. TYSON & CO. Established in 1936 by Joseph H. Tyson, our agency as grown into a full-service,experienced insurance agency. We serve the needs of the personal and the commercial insurance customer. Insurance is what we do, no license plates or real estate. We are focused on the constantly evolving insurance industry. Our firm is staffed with proven professionals that are conscientious, caring people you can count on. We are dedicated to providing the personal attention so rare in today’s industry. We don’t work for an insurance company; we work for you We are on your side when you have a claim and will strive to see that you get what is fair in a timely fashion. Our professional staff does a risk analysis, then aims to reduce gaps in coverage and reduce the cost. 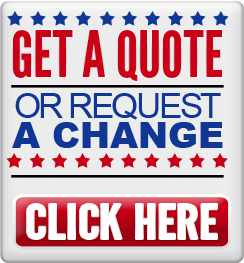 We are prepared to provide you with a no cost,no obligation quote and comparison. Safeco / Liberty Mutual added some tips for savings on auto insurance.